Asperger's Disorder is increasingly being diagnosed in adults, ruling out previous diagnoses of ADHD. The propensity in the past to disregard an Autism Spectrum Disorder diagnosis if a person's IQ was at or above average is by far the most common reason for misdiagnosis. There was (and still is in some communities) a huge misconception that ASD= Severe Cognitive Impairment. A child being assessed who showed 'normal' or above average intelligence was assessed differently from one who showed intellectual delay. ASD assessment never entered the picture. When a child was placed before a doctor who had in their mind already ruled out ASD, the only diagnosis left was ADHD. If there were family members with ASD a 'second look' at the traits might occur (as happened with my own son) but it was rare. In large part due to the old notion that Asperger's Disorder carried with it language delay and could not be diagnosed without such. This fallacy was corrected in the DSM4, but many professionals still operate under this misconception. Small children with Asperger's disorder are quite often hyperlexic and have very large verbal vocabularies. Ten years ago, a child coming into a doctors office who could carry on a full conversation with the doctor was automatically assumed to NOT be ASD. It is now understood that ASD is truly a spectrum, a wide and varied spectrum. At one time an Autism Spectrum diagnosis disallowed you from also receiving an ADHD diagnosis. It is now well known that the two can, and often do, co-present. There is conjecture that ADHD itself is an ASD, or has common origins. Most children (or adults) who now receive a diagnosis of PPD-Nos or Asperger's Disorder also receive a secondary diagnosis of ADHD or ADHD traits. This move to allow the co-diagnosis of both disorders reflects the growing body of research suggesting that ADHD and ASD do not just co-exist, but in fact share the same origins and are possibly members of the same family. There is also the availability of services, and how best to help our children. The family of a child assessed as ADHD who in fact is ASD will not have access to information on sensory processing disorder for example. SPD is a major contributor to the anxiety people with autism endure. Knowing about SPD, and how to help someone desensitise or find coping mechanisms is invaluable in creating a greater quality of life for everyone involved. What a shame for someone who would benefit from that to be denied that help, simply because of misdiagnosis. As for the adults just being re-assessed now, some may wonder, what's the point? They're adults. They have jobs, homes, lives. What I keep hearing from the newly diagnosed is that there is this overwhelming sense of relief. The relief that there is nothing 'wrong' with them. That they did not 'fit in' because they have ASD , not because they were misfits, or lazy, rude, or impulsive. All things they have been told over and over that they should have 'outgrown' or can 'control'. To know that it is not a failing on your part, to know there is an actual reason is a huge relief. It allows them to finally be able to reach out and connect to others who are also ASD. To know they are not alone. For many more , the fact that they have children themselves who are on the spectrum, knowing they are ASD as opposed to solely ADHD allows them to see their children in a whole new light. to realise that they UNDERSTAND their children in a way only someone who also has ASD can understand. Am I saying that ADHD is really a form of ASD? I have my opinion, and there are valid points to be made on both sides of the debate. 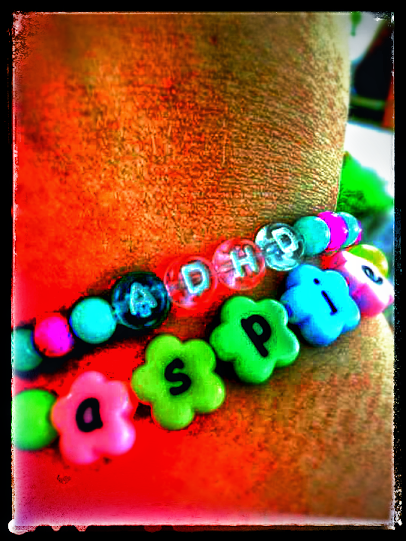 One thing however that cannot be debated is that the coming years will be an interesting time in the ADHD ASD world! Yeah I feel that Asperger’s Disorder is not a new thing as there are a lot of famous people with aspergers Disorder in our history. But I have noticed the problem is increasing surprisingly. What could be the reasons behind this?